Whallonsburg, N.Y. – Tickets are now available for the Depot Theatre’s Boquet River Theatre Festival (BRTF) 2018 performances. Created in 1993, the BRTF is an organization that was designed to provide young people with theatrical training and experience. The Depot Theatre in Westport took BRTF on as its signature education and outreach program beginning this year. 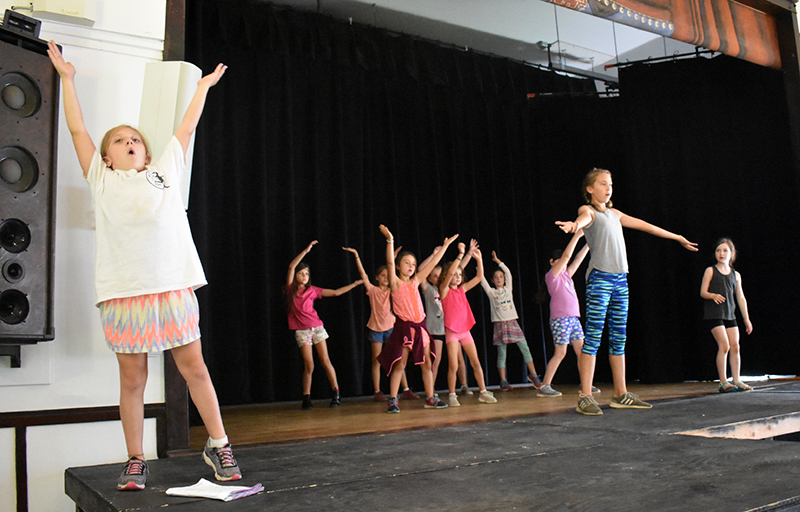 Each summer, BRTF features both junior (ages 8-12) and senior (ages 12 and up) programs that culminate in theatrical performances held at the Whallonsburg Grange Hall. This year’s Junior production, directed by Cherie La Duke, will be WILLY WONKA JR., with performances on August 10 and 11 at 7 p.m. and August 12 at 2 p.m. Performances for the Senior BRTF production of PLAY ON!, directed by Jackie Robertin, will be held on August 17 and 18 at 7 p.m., and August 19 at 2 p.m. The Whallonsburg Grange Hall is located at 1610 NYS Route 22 in Essex, NY. Tickets are $14 for adults and $10 for students and seniors, (includes $2 facility and education fee per ticket), and are available online at depottheatre.org, or by calling the box office at 518.962.4449.